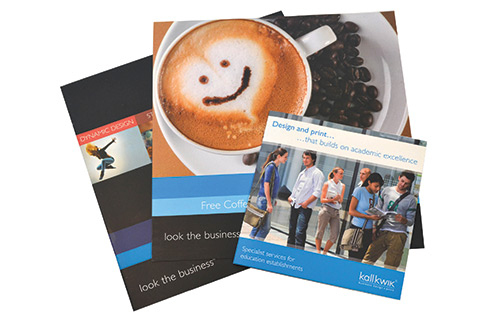 Quality corporate literature that shows off your business to good effect is an essential part of any marketing armoury. After decades in business generally and in printing specifically we totally understand the need for clients to look professional. If you want us to help with your design we will take the time to listen to what you want before recommending a solution, creating a design that brings your corporate literature to life and producing an end result that you are thrilled with. Clients often supply their own pdfs from which we can, depending on volume, print in a few hours. FAST – Depending on the size of the job allow 1 to 2 days for design and 1 to 3 days for printing. LOCAL – If it suits you we can visit your office to understand your business and discuss your requirements – and at short notice - or you can collect from our centre in Clarence Street. We have a car park for customers’ use behind the centre.